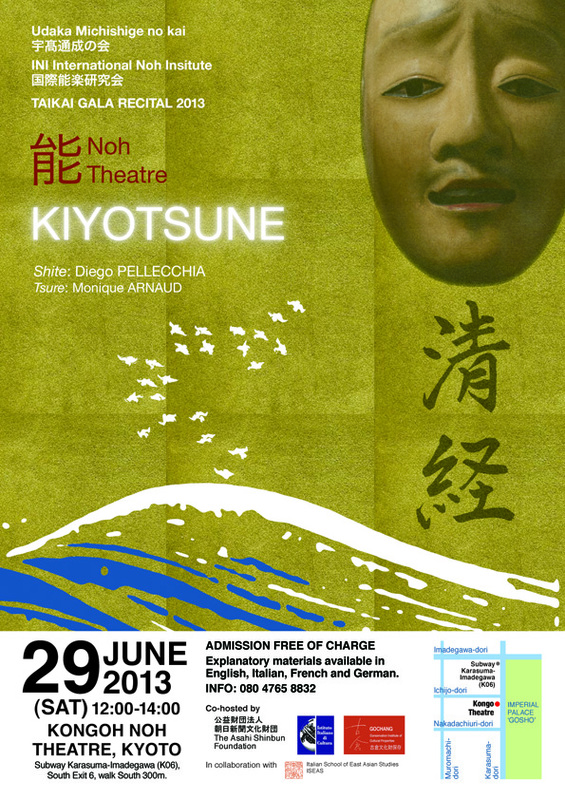 I am happy to announce that on June 29th 2013 I will take the role of shite (main actor) in the full production of a play from the traditional repertoire. 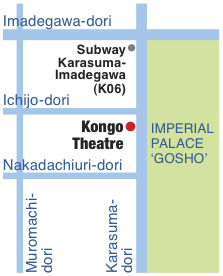 The performance will take place at the Kongo Noh Theatre in Kyoto, on the occasion of the Udaka-kai Taikai, and will be my hatsubutai (初舞台, first appearance on stage) as main actor in a full production – with mask, costume and professional musicians. That’s all for now. I will be posting more about this event in the following weeks, so watch this space. For now make sure you clear your schedule on June 29th (Sat). 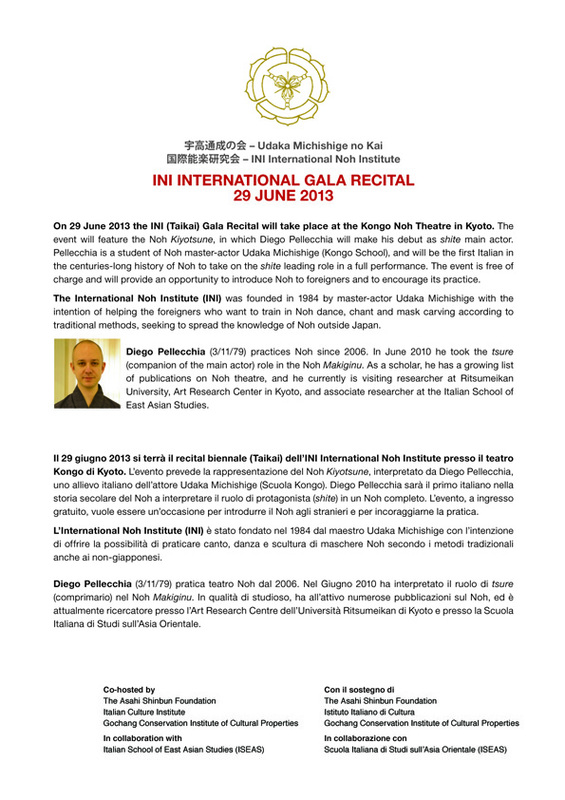 I am looking forward to meeting you in Kyoto and to celebrate after the performance! On October 23 2012 the twelfth edition of MANABU, a seminar for Italian researchers hosted by the ISEAS (Italian School of East Asian Studies) took place. The event, which I had the pleasure to organise, was hold in Italian so here are some notes in English for those who could not attend. The meeting brought together scholars from various research fields: Matteo Casari (Bologna) is an anthropologist, Katja Centonze (Tokyo) specialises in contemporary dance/performance, Monique Arnaud (Venice) is a Noh instructor and theatre director, and myself. Silvio Vita, director of ISEAS, has been a wonderful host, facilitating the discussion and organising post-meeting events. Matteo Casari (University of Bologna) introduced the topic of Noh and Manga, looking at Noh-inspired manga such as Hana yori mo hana no gotoku and Ikkyū (which, I learnt, is surprisingly translated in Italian) and to manga-inspired Noh, such as Umewaka Rokurō’s Kurenai Tennyo. Katja Centonze described the work of dancer/musician/choreographer Alessio Silvestrin and his collaboration with Noh practitioner Tsumura Reijirō, presenting clips of Kakekotoba,　Monique Arnaud talked about her directing work in Venice, showing clips of her most recent production Silent Moving, taking place in the interiors of the magnificent Palazzo Ducale, Venice, implementing techniques borrowed from Japanese traditions such as bunraku in a modern ‘Theatre du Complicite’ style. My presentation introduced the issue of limiting the study of Noh to Japanese literature departments. I suggested that, in order to prevent Noh to become a museum piece, it should be also studied as performance in theatre departments, just like Shakespeare or Aeschylus are. We enjoyed the day, especially the rare chance to discuss with members from different backgrounds, and we concluded the day agreeing on the intention of creating another similar event (in English) in the not-so-far future. The October issue of the Nōgaku Times features an article on Shain 『沙院』 a shinsaku-noh (new Noh play, not part of the classical canon) by actor Nagajima Tadashi (Kanze). 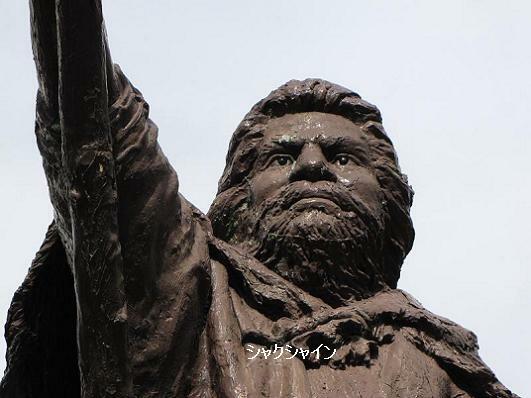 Shain is based on the character of Shakushain, an Ainu chifetain who led an important rebellion (Shakushain no tatakai, 1669-1672) against the Matsumae clan, the Japanese lords who occupied the Hokkaidō region at that time. The Noh follows a rather standard structure in which a monk (waki) visiting Hokkaidō meets a local man who tells him the story of Shakushain (shite) before disappearing. In the second half of the play the shite re-enters the stage in his real form, as the spirit of Shakushain. In the interview to the Nōgaku Times, Nagajima-sensei explains how the character for the nochi-ba (second act) was built around that of the Noh Kōu (on the Chinese general Hsiang Yu). 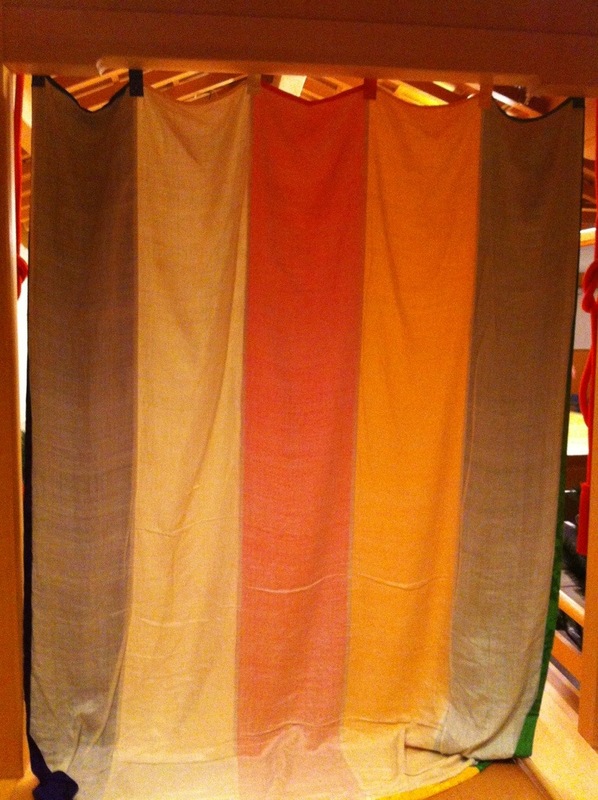 One of the highlights of the play is the ezo-nishiki fabric costume for the character of Shakushain, of which you can find pictures on Nagajima-sensei’s website. Unfortunately not much is said about the ‘post-colonial’ resonance of the play. Obviously the Japanese invasion and subjugation of Hokkaidō has an important meaning in Japanese history, especially if seen in the perspective of Tamura, the only classical Noh play dealing with a similar theme. In Tamura the general Sakanoue no Tamuramaro (758-811) is sent by Emperor Heizei to Mt. Suzaku to contrast an Ainu invasion, whom he defeats with the help of the bodhisattva Kannon, who mercifully sends a thousand arrows on the ‘demons of the North’, killing them all. 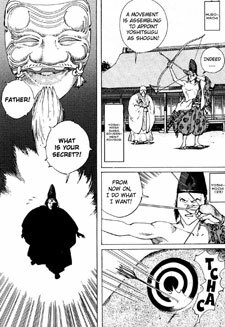 You can find a synopsis on www.the-noh.com, and perhaps also notice how they artfully avoided to mention that Tamura’s enemies were actually Ainu people. Those interested in attending Shain can find more info on Nagajima Tadashi’s website. This is the worst of the off-topics of a Noh specialist, but… as I am preparing a Kabuki class for my 2nd year drama school students, I was browsing YouTube searching for interesting videos that might show the ‘behind-the-scenes’ of a Kabuki production. I bumped into the video below, a Kirin Beer commercial featuring Ichikawa Danjuro XII (thank you Matt for the identification) posing as Kamakura Gongoro from the play Shibaraku. So far nothing special – Kabuki actors often feature commercials for famous brands of tea, beer, etc. What caught my attention, though, comes towards the end of the commercial, when Danjuro is portrayed as having a refreshing beer after the performance, surrounded by a group of foreigners in tuxedos, who listen in amusement to his stage tales. It is not uncommon to see foreigners featuring Japanese commercials, sometimes playing comic character, most often portraying cast-types of various Western ethnicities (a while ago I saw this ‘Italian’ whose nose really pierced the screen). However, this scene in the Kirin commercial somehow reminded me of the imagery of the ‘honourable guests’, Western visitors – diplomats and academics – that during the Meiji period attended Noh performances, and of whom the Noh establishment took much pride. In those days, Kabuki was considered popular and vulgar, hence unsuitable to entertain the high-ranking foreign guests. Of course, things have now changed, and despite a certain look of disdain from the world of Noh, Kabuki is by all means considered one of the treasure of Japanese traditional culture, and is often promoted internationally. Mukashi mo ima mo, the Japanese tradition takes advantage of the foreign eye on it in order to improve its self-image, and this seems to have been quite clear to the writer of the Kirin commercial, who carefully devised the script so that Danjuro would be the star not only of an indigenous product, but of an art of international value. And so is Kirin. Ogamo Rebecca Teele is a Noh actress, mask carver, translator and scholar; she is the coordinator of the International Noh Institute, led by Noh Master-Actor Udaka Michishige. It is also thanks to Rebecca-sensei’s efforts to pursue the way of Noh that I have been able to begin my journey through this art. I am copying here the full text of the interview that appeared on the Yomiuri Shimbun (Feb. 6, 2011). Wedded to her art, noh two ways about it. KYOTO–Face-to-face at a rehearsal hall at the foot of Mt. Hiei in Kyoto, the elder U.S. teacher and her Australian pupil bowed and engaged in a traditional “Yoroshiku onegaishimasu” (thank you for your support). The teacher, noh actress Ribekka Ogamo, then began demonstrating a model performance, moving and lowering her center of gravity as if skating across some ice. She then coaxed her student into dancing more slowly and expressively. Born in Michigan, Teele first encountered noh as a child in Japan, at a performance she went to with her father who was then teaching at a university in Kansai. Teele was mesmerized by the scene facing her when she woke from a nap. Orotund noh chants, emotive noh masks and the subtle rustling of long skirts all contributed to a profound atmosphere on stage that left an indelible impression on the young girl. Teele, who later returned to the United States and graduated from high school there, majored in theater at a U.S. university. She thought while Western theater called on actors to possess certain physical charms, including a modicum of attractiveness, the noh she knew from Japan instead emphasized people’s spirituality. She thought she would be able to explore this theatrical expression, which she felt lacking in Western theater, by performing noh. As her obsession grew, she again visited Japan and observed many noh performances. Fascinated with the beauty of the works staged by the Kongo school, Teele decided in 1972 to become Udaka’s pupil, as he had previously accepted foreign students. Despite being accepted into the Udaka school, Teele faced much difficulty. First, she had to practice sitting seiza-style on her heels. She had no difficulty speaking conversational Japanese but it was a challenge to understand the noh chants written in classical Japanese. Yet Teele was determined to succeed. Consulting her dictionary, she slowly made her way through many noh works. She also practiced the requisite chants in a loud voice at a riverside in the neighborhood. Meanwhile, swimming helped Teele developed a physique better suited to the art form and she eventually conquered movements such as how to shuffle properly. She was making her living working at an English conversation school and translating, but Teele was completely devoted to noh. Teele’s journey to become a noh master took nine years. Upon being admitted to join the Nohgaku Kyokai association–itself an unusual move–she identified herself as noh actor Ribekka Ogamo. “[Teele’s membership] has inspired Japanese disciples,” Udaka said. Teele, who also serves as secretariat chief of the International Noh Institute, a body comprising of overseas noh students among others, now herself teaches foreign students, her efforts a testament of her devotion to the art form. The work is not without its challenges. The quality of a noh performance depends not only on the actors’ expertise in traditional dances and chants but also how the noh masks are displayed to the audience. The significance of these principles is not always understood among beginner pupils hailing from overseas. According to Teele, she was once asked by a non-Japanese student whether it was acceptable to make small changes to the basic style of noh dancing. Teele also recalled a pupil from South America unable to imagine snow. On such occasions, Teele would advise the students to visit temples and shrines in Kyoto and look at pictures on display depicting the four seasons. In spite of the fact that many foreigners visit Japan to learn noh just like she did many years ago, Teele is disappointed their Japanese peers seem uninterested in learning the traditional art. In June last year, Teele took part in a performance to celebrate the 50th anniversary of Udaka’s stage career. She played the main role in the program “Yuki” (snow), a snow spirit that dances in the moonlight for about one hour. The performance was even more remarkable as Teele danced while enduring severe pain in her left knee. She had fallen down some station stairs six months earlier and injured the knee, which had already been broken once before. The accident prevented Teele from rehearsing enough before the performance. “You should improve your dancing so that the noh mask becomes more expressive,” Udaka commented following her performance. His uncompromising attitude toward the art made Teele even more determined. Teele has one unrealized dream: To perform noh in the United States. She hopes to fulfill this by almost any means possible, her will unchanged from when she first decided years ago to devote herself to noh.